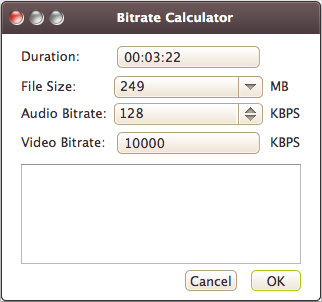 How to convert video files using this video converter on Mac? The following will show you a step-by-step guide to complete the conversion task. 4Media Video Converter for Mac can easily convert amongst a vast array of standard-definition (SD) video formats and high-definition (HD) formats with splendid quality and super speed. It can convert videos to play movies in any format on any popular multimedia device including iPod, iPhone, iPad, Apple TV, PSP, PS3, Xbox360, Zune, PMPs, Android phones, and mobile phones. 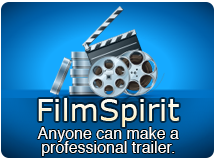 Besides, it has editing functions that can help you to clip, merge, crop and split videos, as well as add watermarks and soundtrack to the output files. 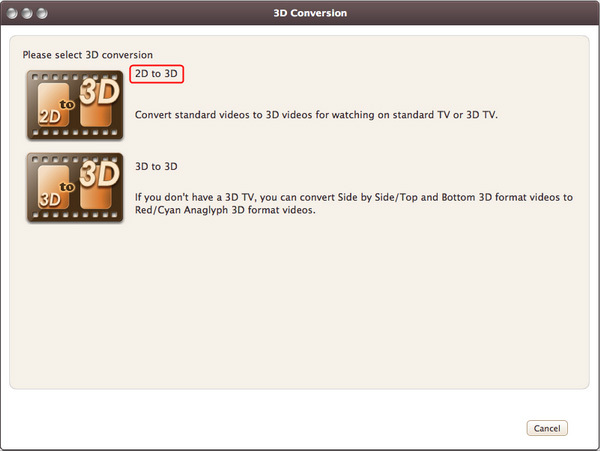 Firstly, download 4Media Video Converter Ultimate for Mac and then install and run it. Click "Add File(s)..." button on the toolbar or select "File > Add File(s)…" on the main menu to load files. 3: Search for the wanted profile quickly by entering the profile keyword in "Start Searching" textbox of the profile list. 1.From "Setting" drop-down list, choose "Restore Defaults" to restore the default. Or select "Apply to All Transitions" to apply the above settings to all the sub-items in this joint item. 2.On the right preview panel, click "Play" button to preview the merged items with the added transitions. After conversion, the files can be transferred to iTunes, iPad, iPhone, iPod and PSP directly by 4Media Video Converter for Mac. 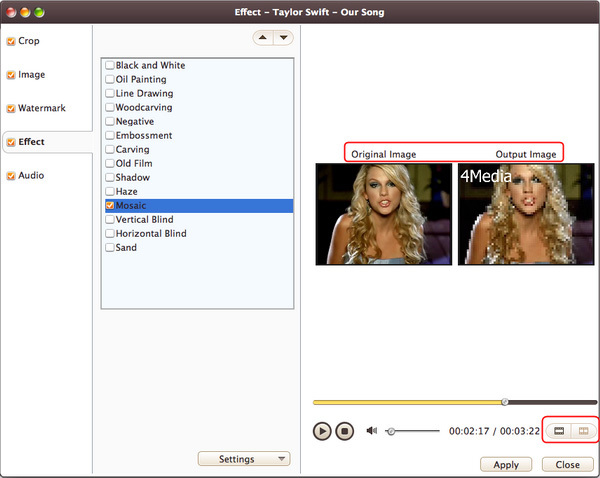 You can adjust a vast range of output parameters including video & audio quality, zoom mode, audio channel, bit rate and frame rate which are sorted by categories for easier customization. Preview your video with the built-in media player before conversion; compare original and edited videos in real-time; take snapshots of your favorite moments while previewing.